This is a Philippine endemic. They are black birds that fly in small flocks. We saw these birds at Trees in Makiling but didn't get any pictures from that trip. We were able to get pictures from Mt. Palay-Palay in May 2009. 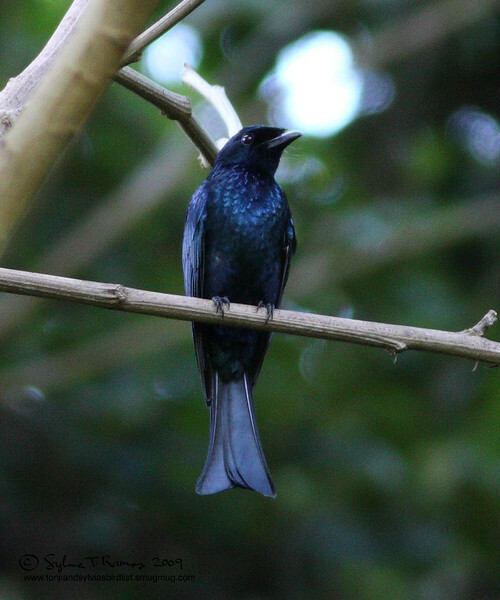 When we were taking the pictures, we thought we were photographing a Philippine Fairy Bluebird -- NOT! We got thrown off by the different call it was using and the fact that it was just trying to hide in the shadows instead of flying away.